Beer, it’s the nectar of the gods — and it can help your health, too. Though there’s not a nutritional label on the bottle, there are some small benefits to drinking the golden brown liquid (in moderation, of course). The yeast, water, grains and even the alcohol all contribute to a slightly healthier you. 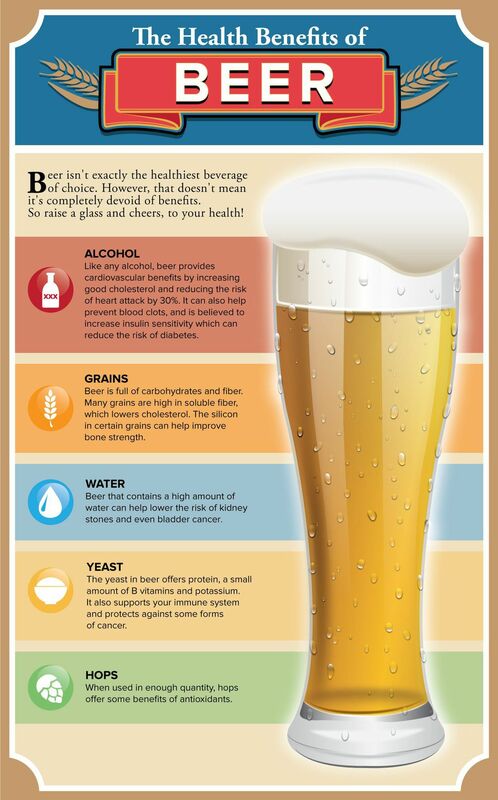 The health benefits of beer are real, but we wouldn’t suggest trading in your kale and broccoli for a pint at dinner. Unless it’s a stout. Who would pick kale over a dark beer?